From the pioneer in Information Security and the creator of Ethical Hacking Program, EC-Council introduces IIB Council, the Business Technology division and creator of Corporate Growth Hacking Trainings. The brainchild of EC-Council, the Institute of iBusiness Council (IIB Council) is formed with the aspiration to create groundbreaking certification and training programs in the business technology sector. The programs teach students the fundamentals of accelerating corporate growth and fostering sustainable development across organizations. To transform organizations into smart, adaptive, digital enterprises, IIB Council programs focus on aligning industry requirements and business goals with the latest technology trends. While technological advances over the past decades have improved efficiency and analytics, the ability for businesses to take full advantage of these advances relies on the skills of their employees. While there are plenty of organizations and professionals using technology to its full potential, others struggle to even begin the planning of such an implementation in their organization. “Lately, we’ve seen a massive wave of interest in organizational transformation powered by data-driven digital platforms which allow us to collect and analyze huge volumes of unstructured data that identify common patterns in consumer behavior” said Jay Bavisi, the founder of IIB Council, CEO, EC-Council Group and Chairman of the Board, EC-Council University. “While this approach revolutionizes the way organizations processes information and execute plans, many organizations struggle with it” he added. Leading developers are exploiting artificial intelligence, machine learning, neural networking, and a variety of other technologies aimed at making trailblazing changes to organizational performance. Customer experience and the ability to satisfy demand in real time have become extremely powerful differentiating factors. Artificial intelligence will eventually enable organizations to serve market demand and customers’ needs with a superior value proposition and surgical precision in delivery. IIB Council Business Technology certifications verify that their holders demonstrate sufficient knowledge and skills to recognize the strategic importance of digital applications to develop and execute cohesive digital marketing, project management and/or customer relationship management plans successfully. The Advisory Board that help shape this program consists of esteemed professionals and seasoned subject matter experts in the field of Business Technology. Board members are carefully selected from the industry to help set the global standards for IIB courses. Some of the professionals include Hope Frank, Chief Marketing & Digital Officer at Kiosked and Forbes Top 50 CMO, Sandra Pigram, Chief Executive Officer at Digital Athlete, Katrina Klier, Chief Digital Officer at Accenture, Rajnish Narayanan, Digital Marketing Strategist at WSI World, Stephen Murphy, Director of Marketing at NetElixir, Faisal Khan, Digital Marketing Officer at The London School of Economics and Political Science (LSE), Kate Creevey, Digital Marketing Officer at TAFE, Luigi Vanore, Senior Project Manager Consultant, Stogea, Simon Penwright, Senior Project Manager, Lloyds Banking Group, Nooshin Yazhari, President & Managing Principal, Optimum Consultancy Services, David Willis, Senior Project Manager at GfK, Kyle Criswell, Principal Technical Project Manager at AT&T, Joost van Oosterhout, Project Manager at Booking.com, Stephen Loughridge, Senior Project Manager & Technology Consultant at Dimension Data, Kristin Dankanich, Design Manager at Vanguard, Karine Nzeutem, Project Manager at UBS. 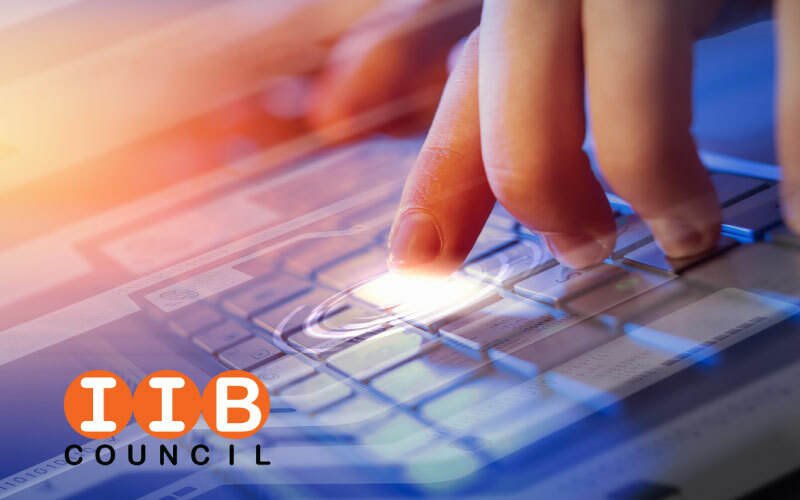 IIB Council is a division of International Council of E-Commerce Consultants, also known as EC-Council, one of the world’s largest cyber security training and certification bodies worldwide. Operating in more than 145 countries, EC-Council certification programs have nurtured over 300,000 information security professionals and influenced the cyber security mindset of countless organizations worldwide.